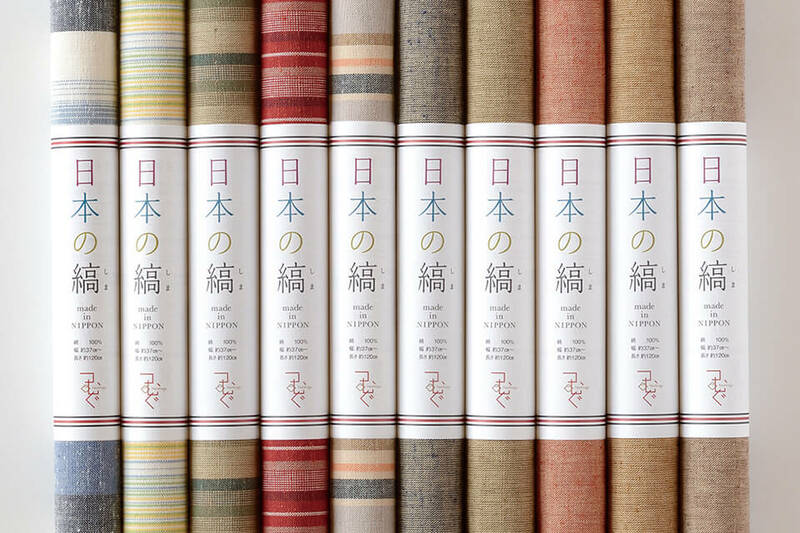 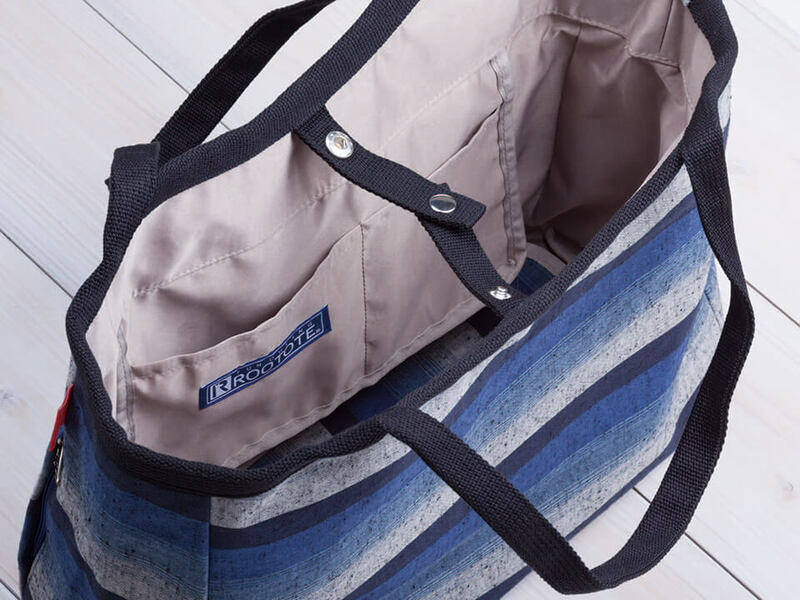 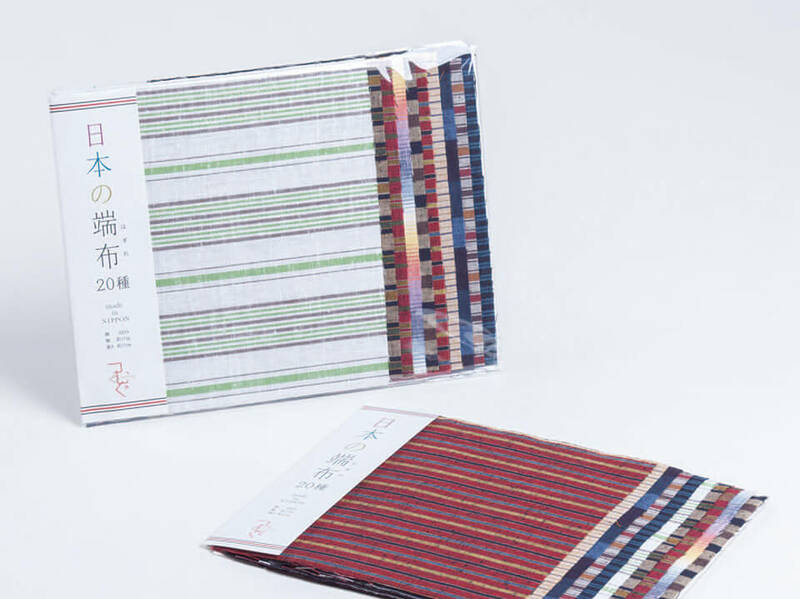 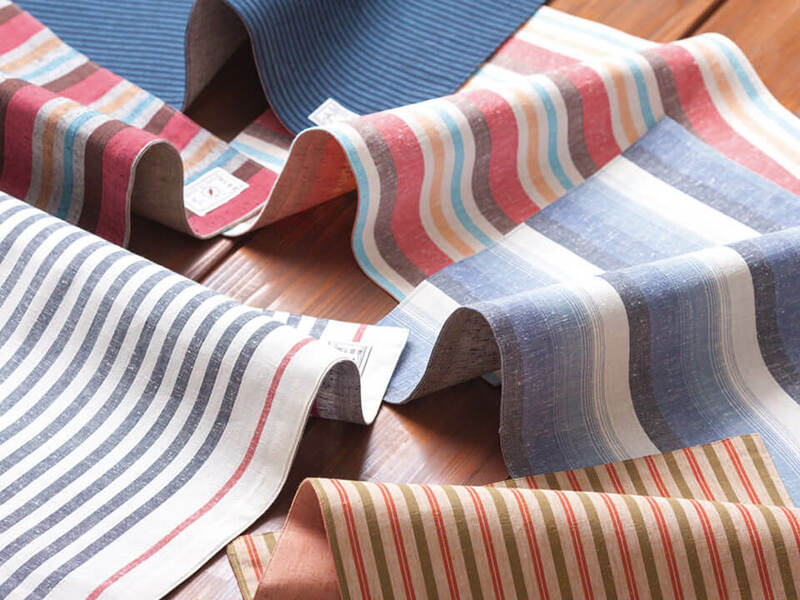 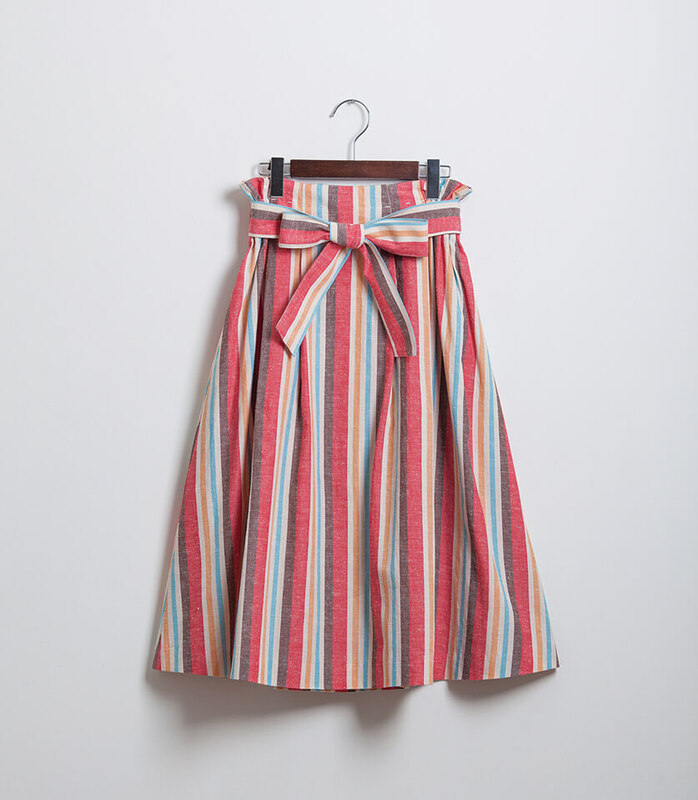 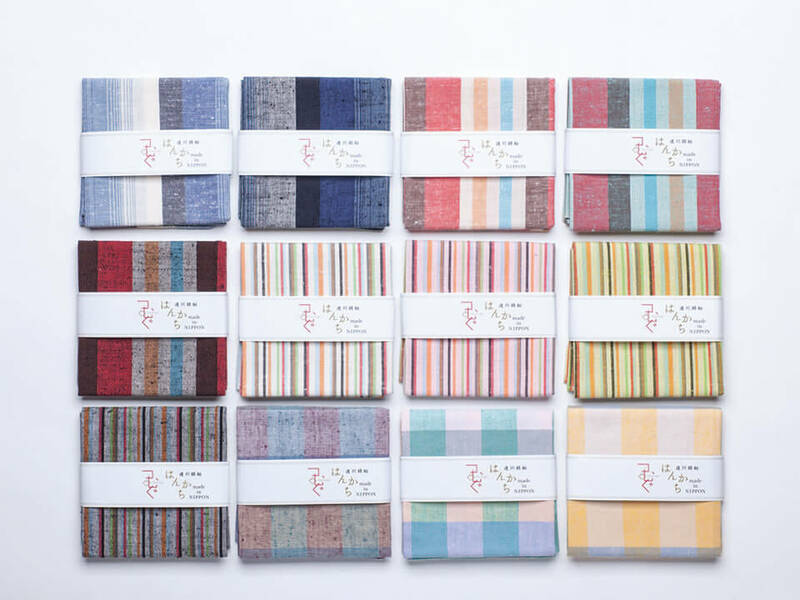 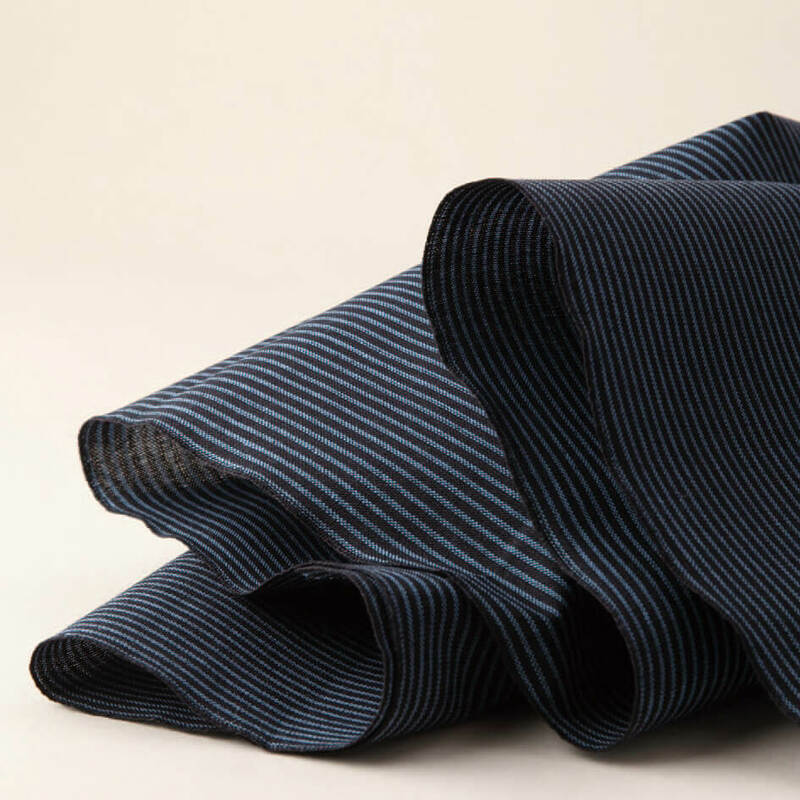 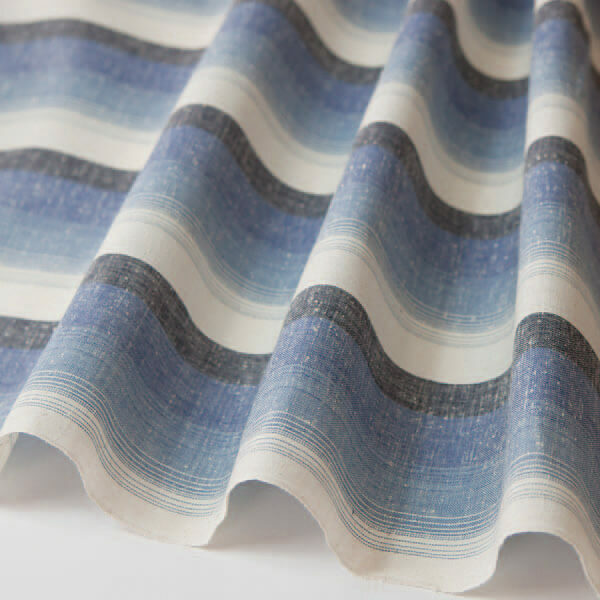 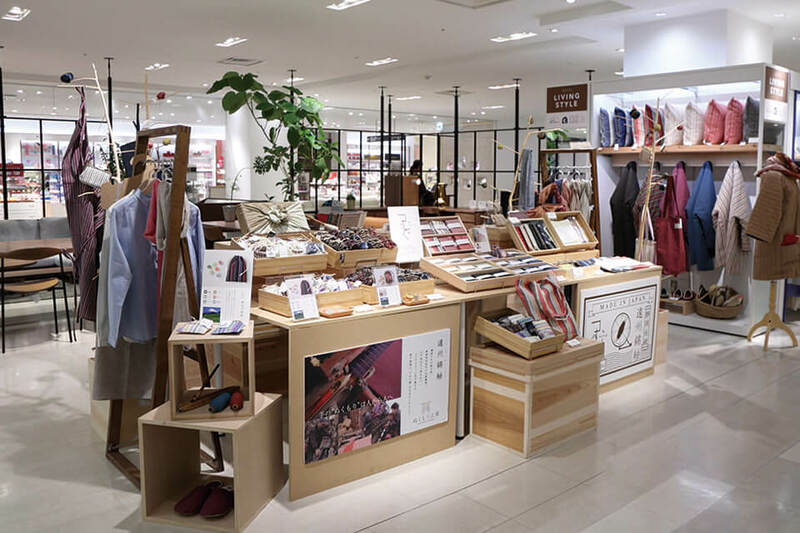 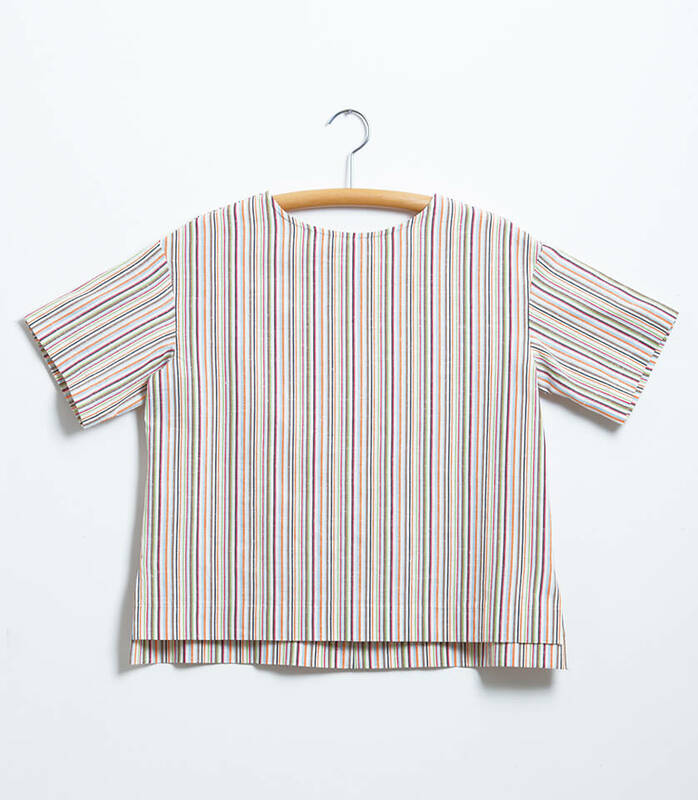 We produce “Japanese stripes” that express the four seasons, aiming to create traditional striped patterns that represent Japan.These fabrics are widely used, from traditional dress such as kimonos, arts & crafts to homewear. 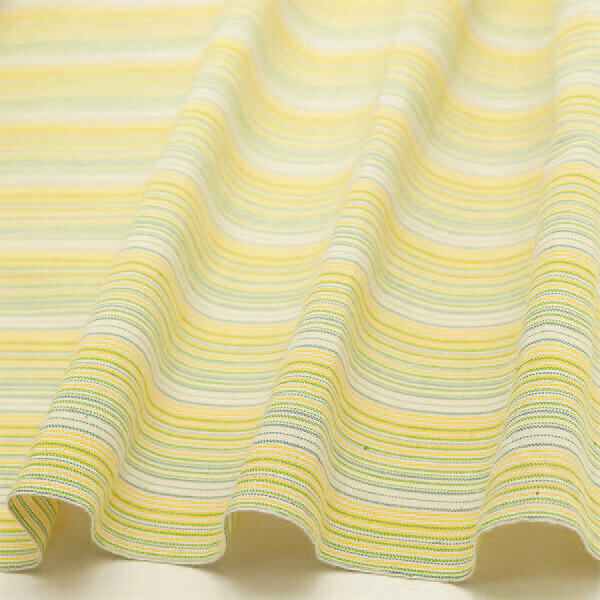 We supply over 150 different patterns on a steady basis. 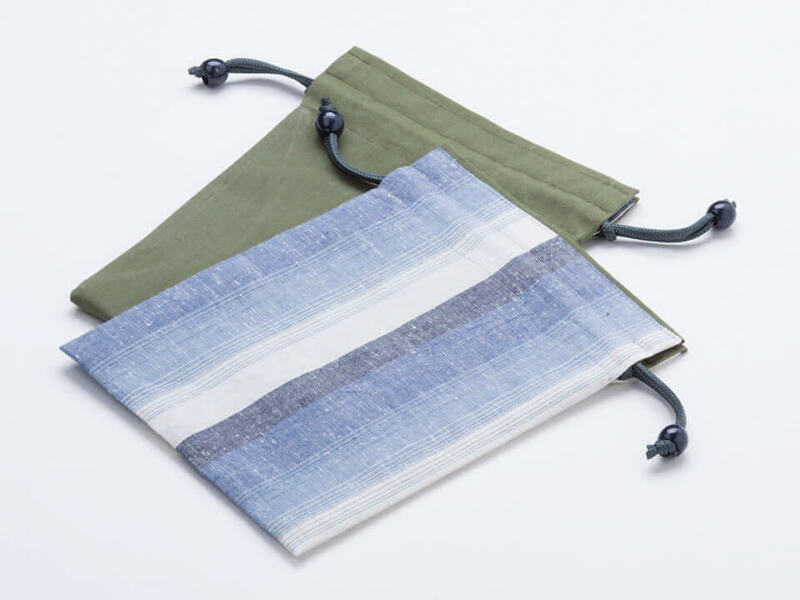 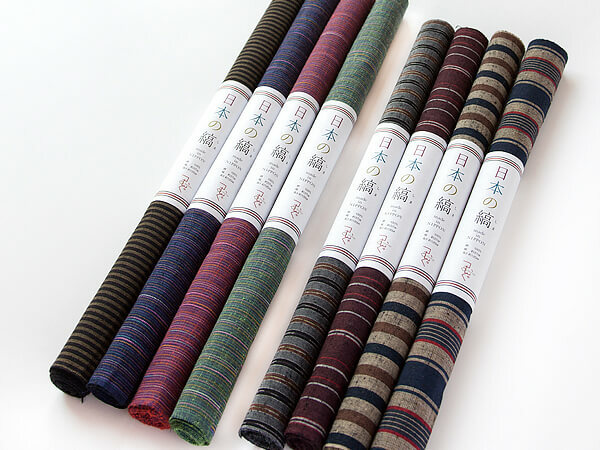 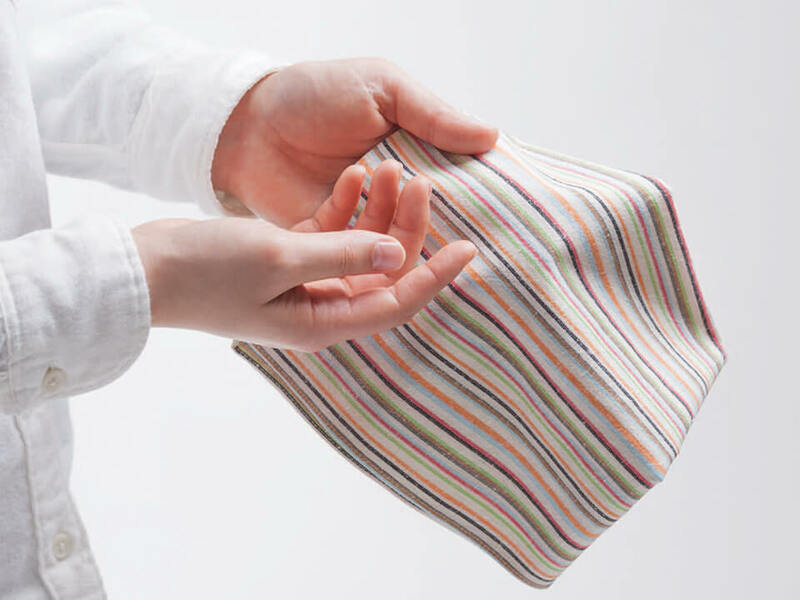 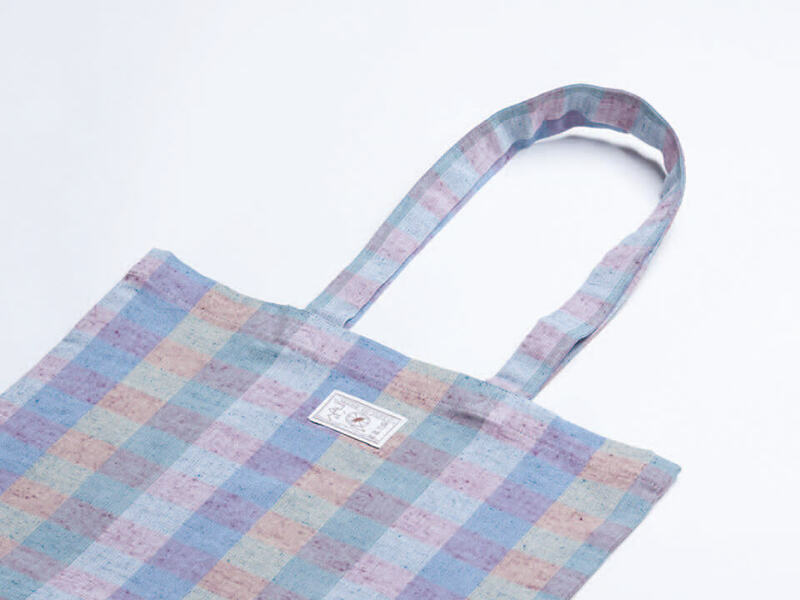 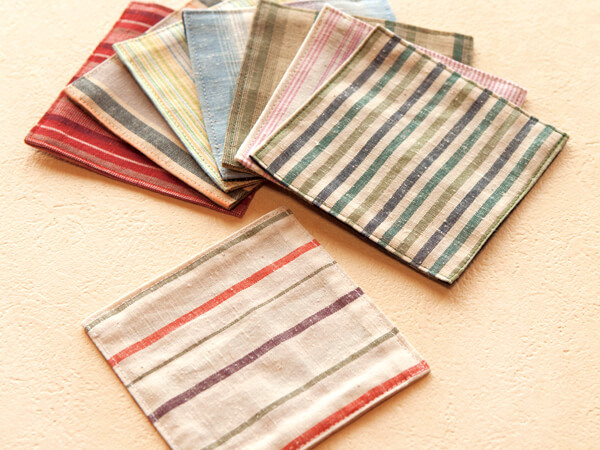 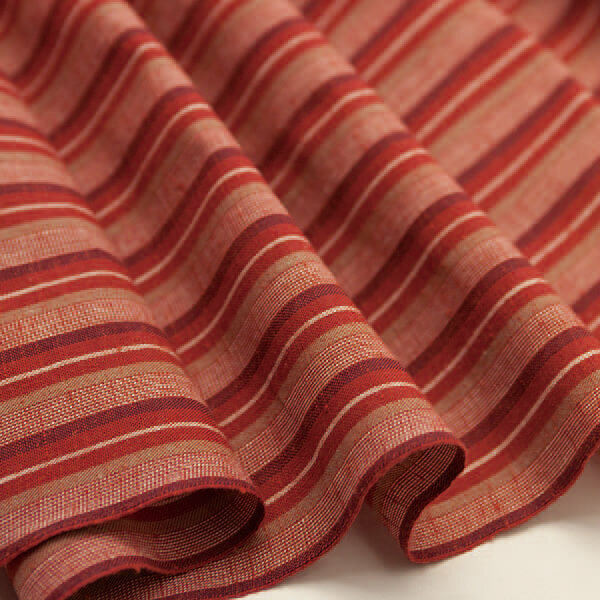 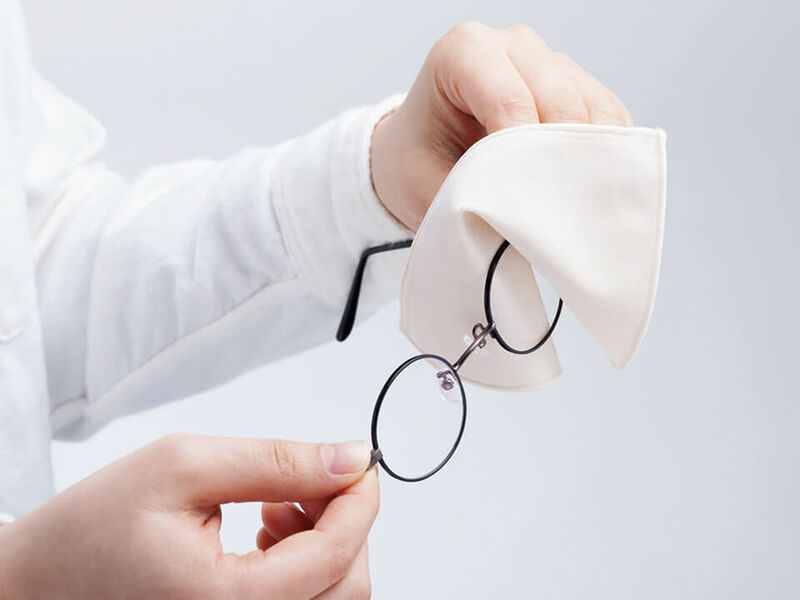 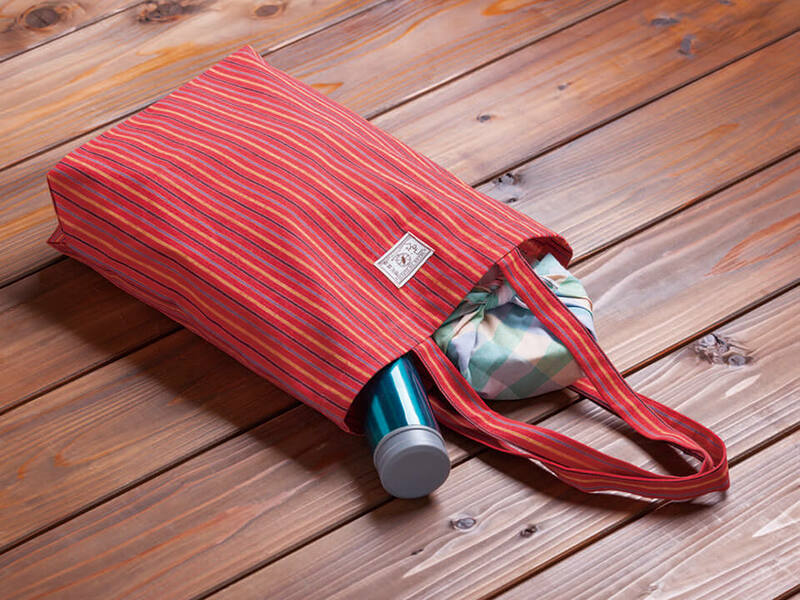 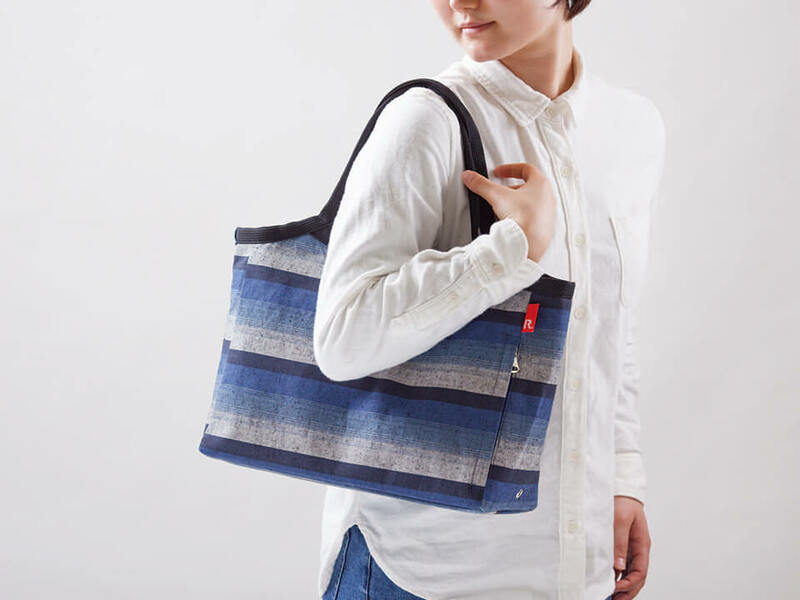 ※ Enshu Men Tsumugi is available in weaving widths ranging from approx. 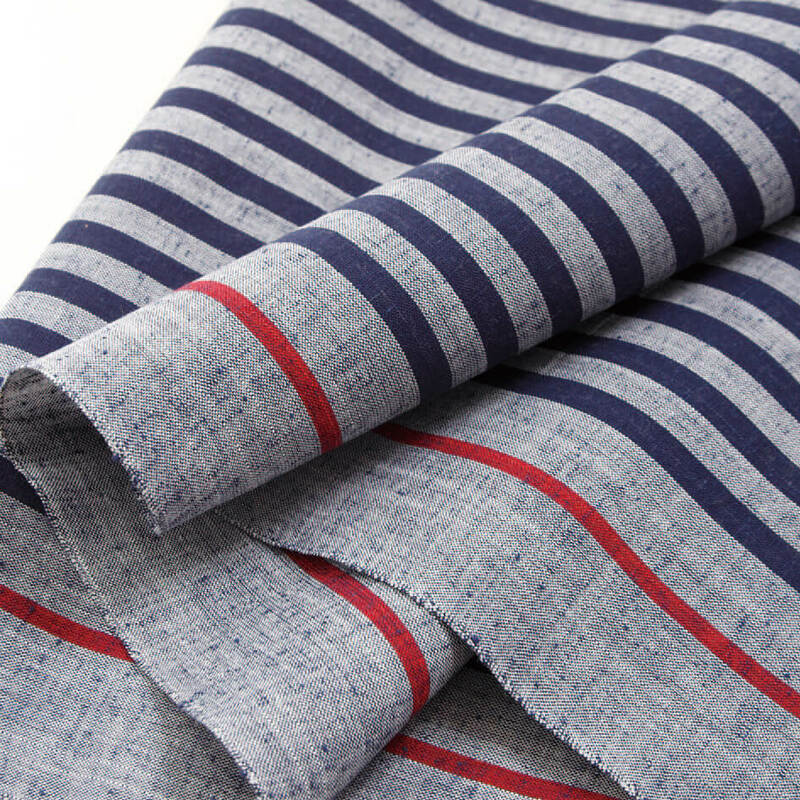 40cm narrow width to 120cm wide width. 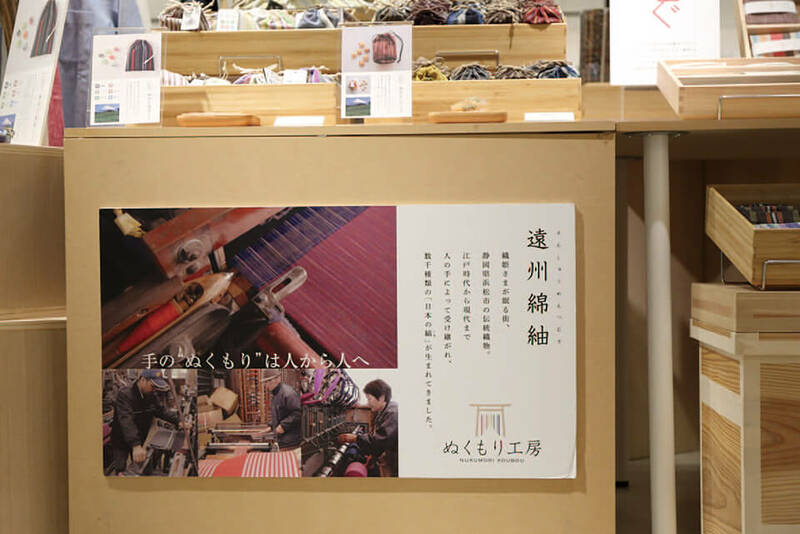 “Tsumugu” is the NUKUMORI KOUBOU's original brand. 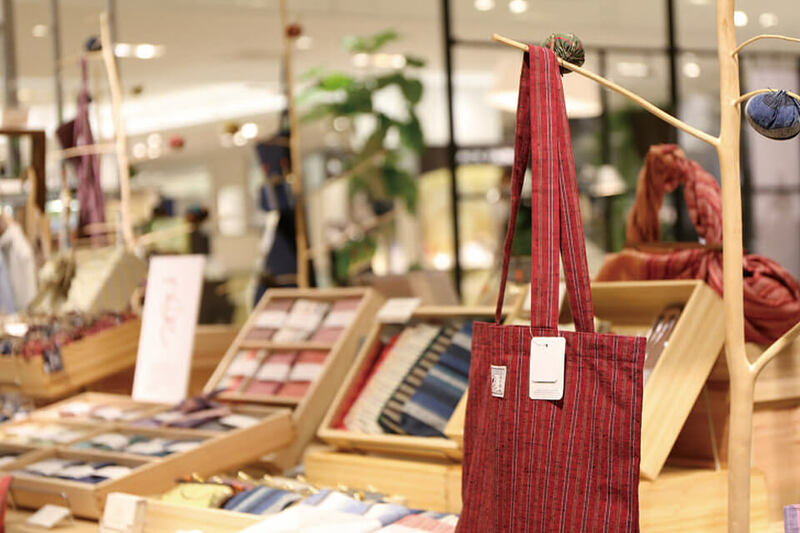 Our specialty is “Made in Japan”. 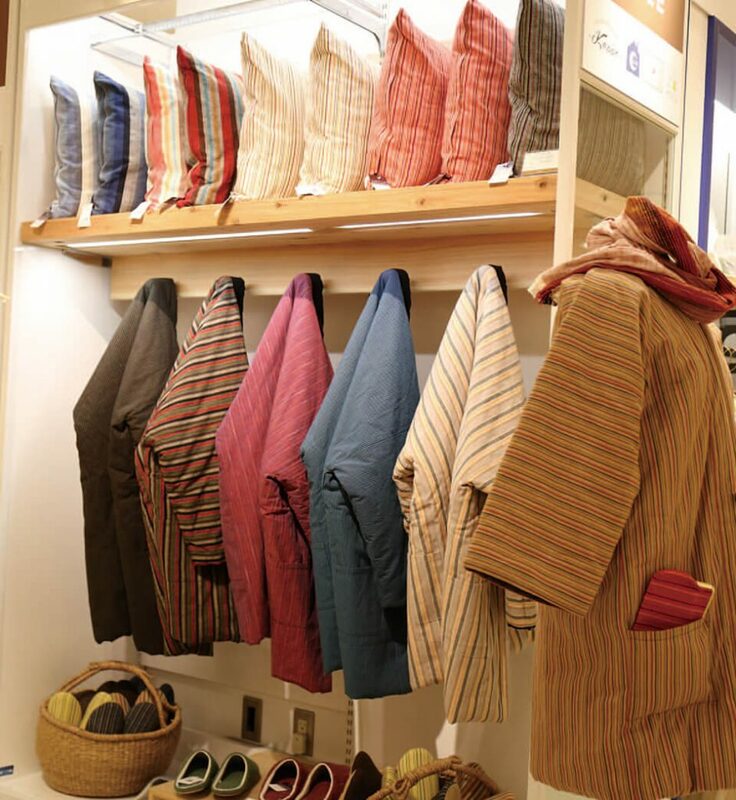 We propose arts & crafts go well with contemporary lifestyles. 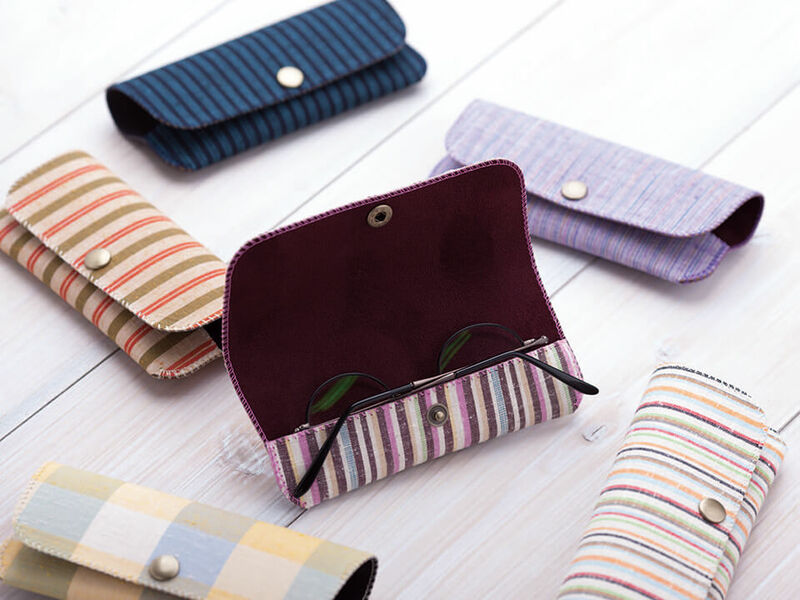 Our products are characterized by warm and nostalgic colors, unique textures, and simple designs that can be cherished for a long time. 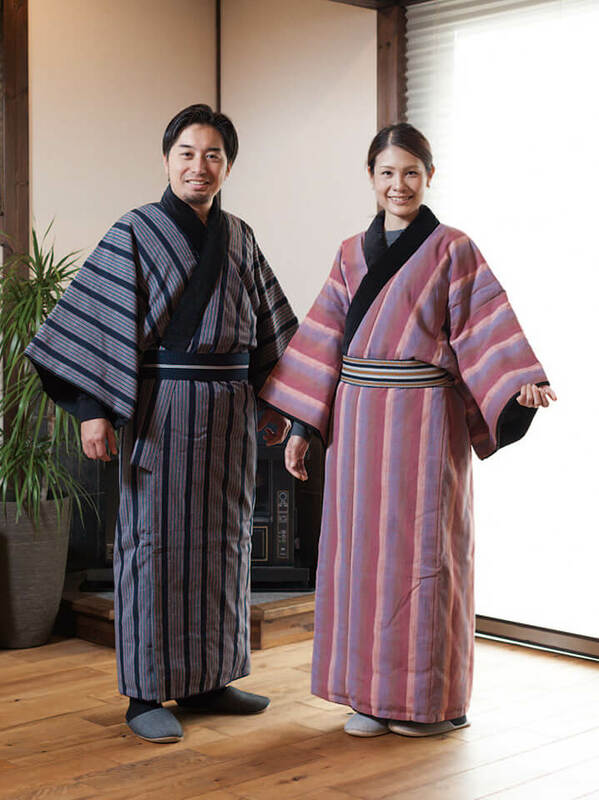 “Tanzen” is a yukata-like kimono made of thick fabric. 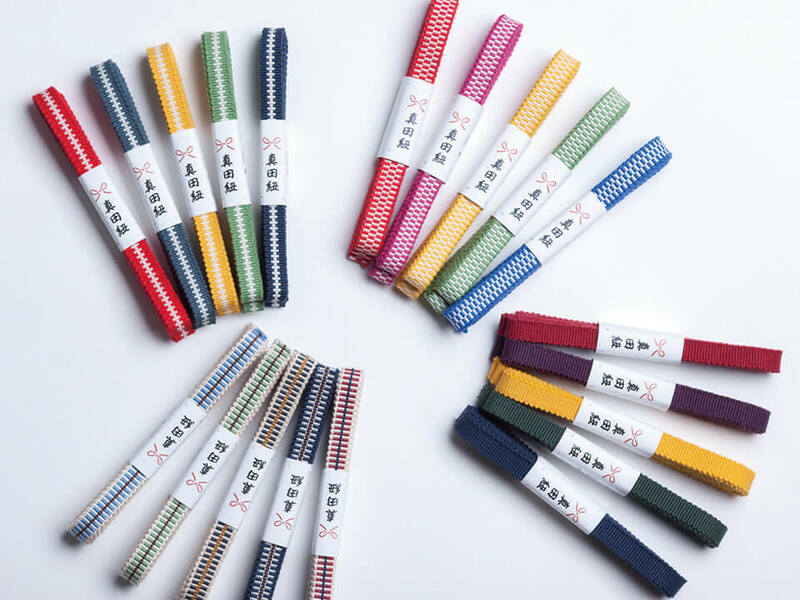 It is widely used in hot-spring hotels, etc., during cold seasons. 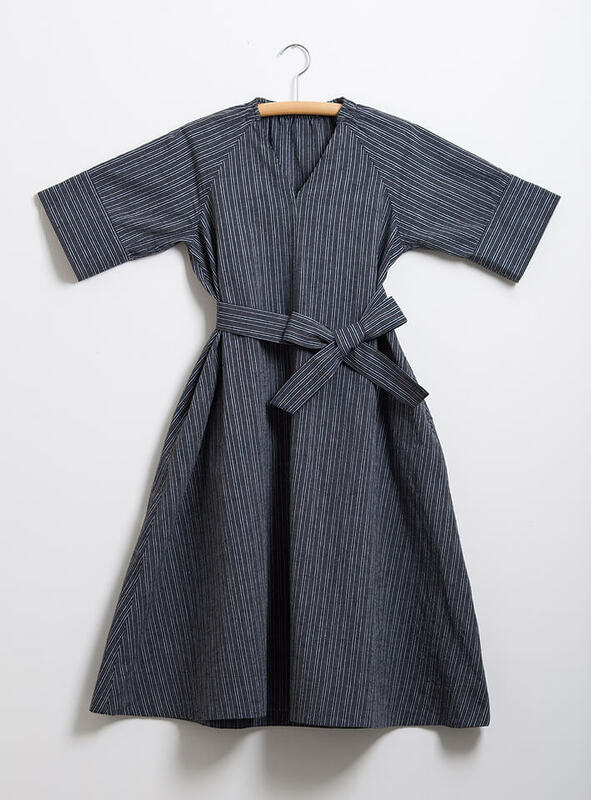 Tanzen is worn over a yukata and fastened with an obi (belt). 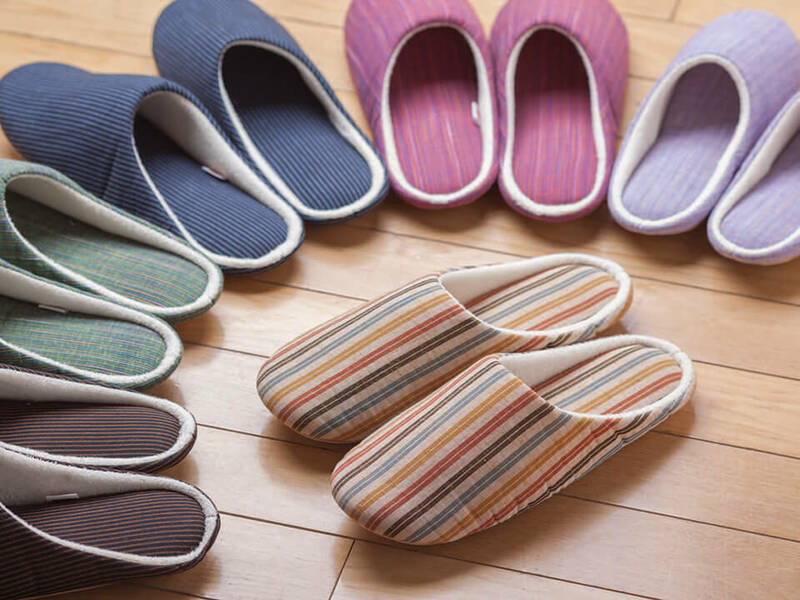 The long length and use of padding were born from our ancestors' wisdom to spend cold winter in a warm and cozy manner. 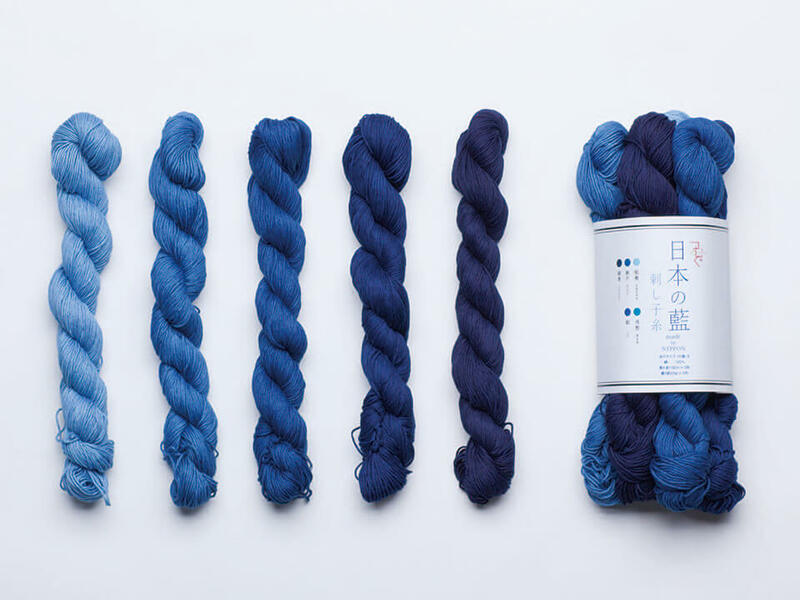 The abundant and fine forests of Tenryu have long supported the cotton textile industry of the Enshu Region. 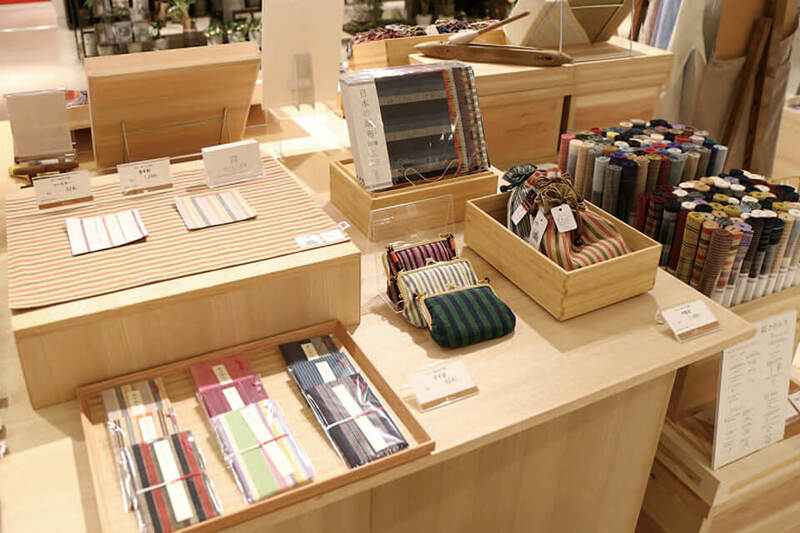 This rod product was born out of the wish to preserve these forests. 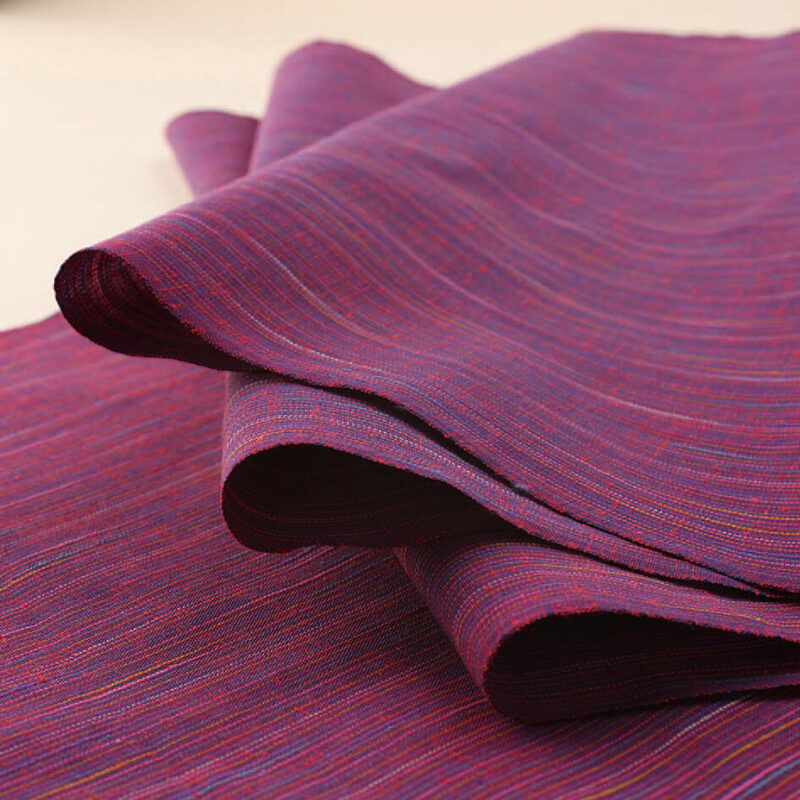 Cedar trees more than 60 years old are logged, and then carefully dried & processed for over 6 months. 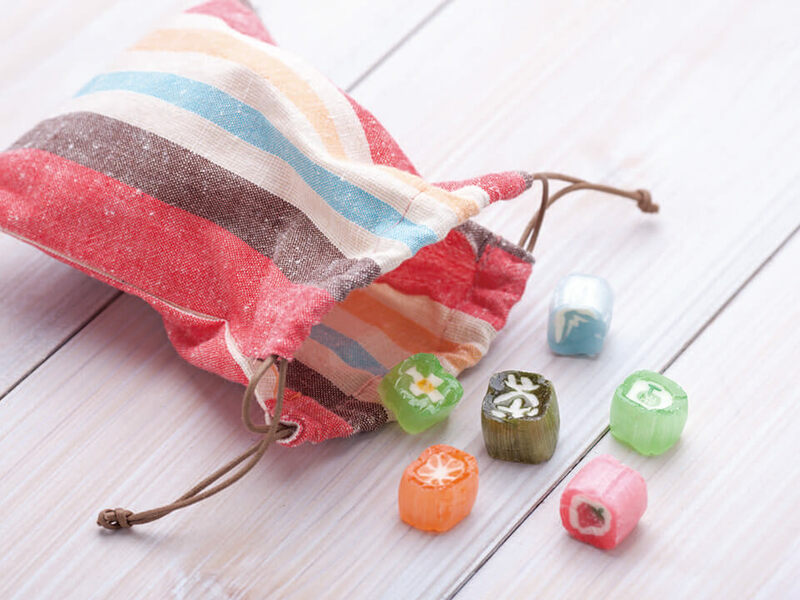 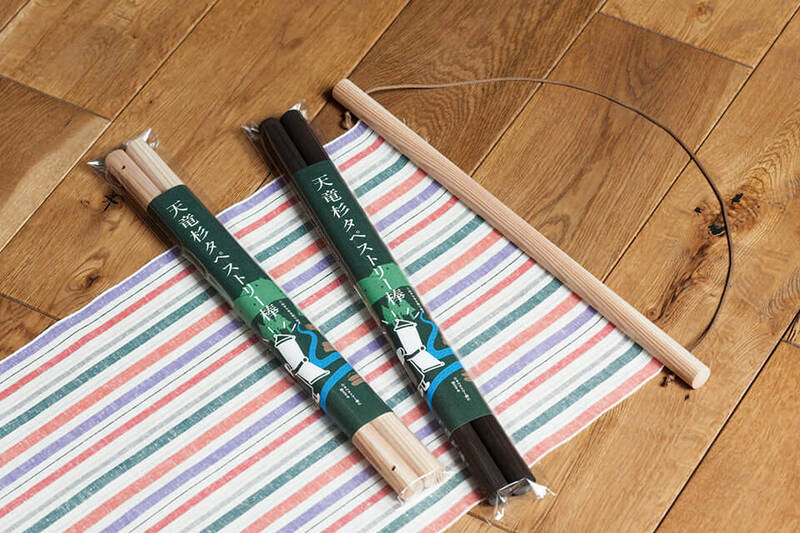 Use these rods to hang and enjoy tenugui and cotton tsumugi to decorate your house, office, and store, etc. 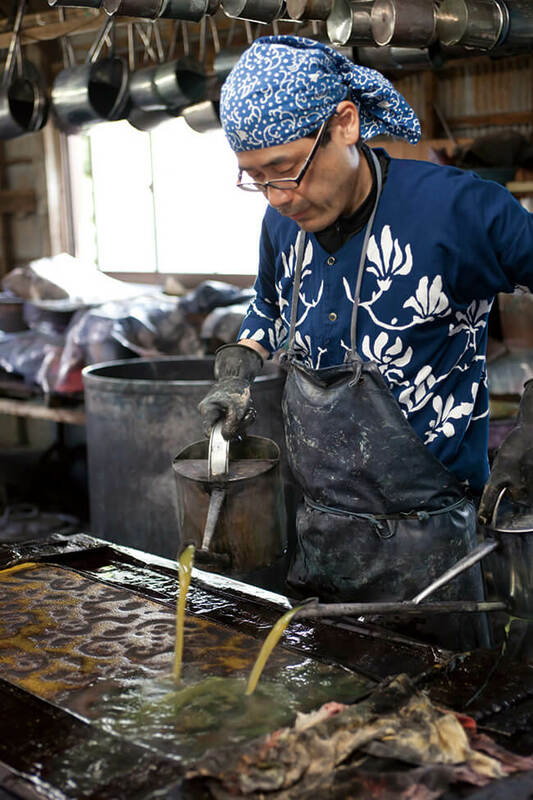 With this traditional technique, dye is poured over a stencil placed on a stack of cloth. 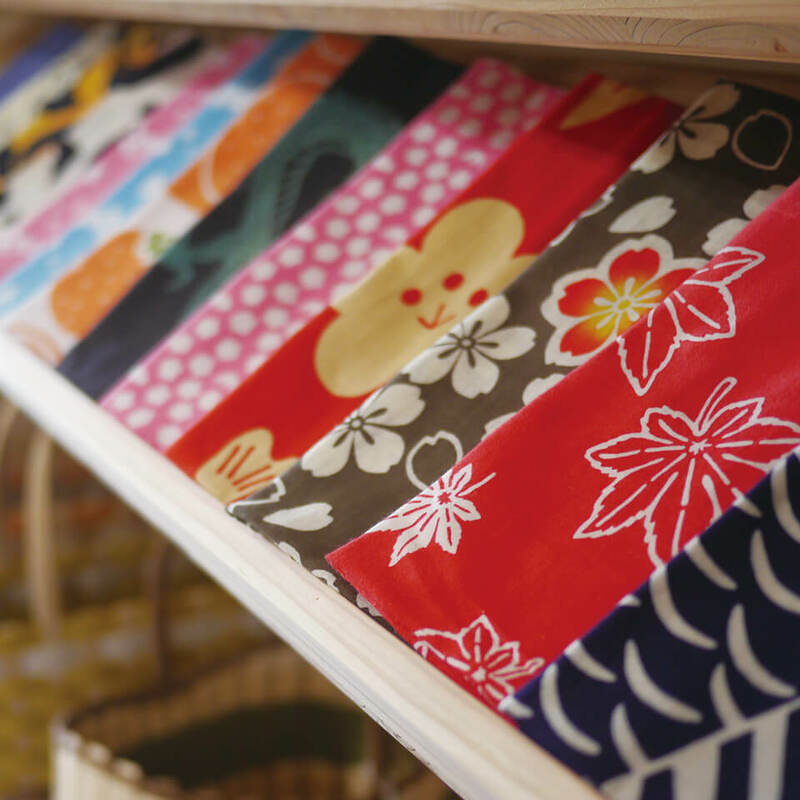 The technique has been passed down for over a hundred years in this yukata producing place “Hamamatsu”, where skilled craftsmen make each piece by hand. 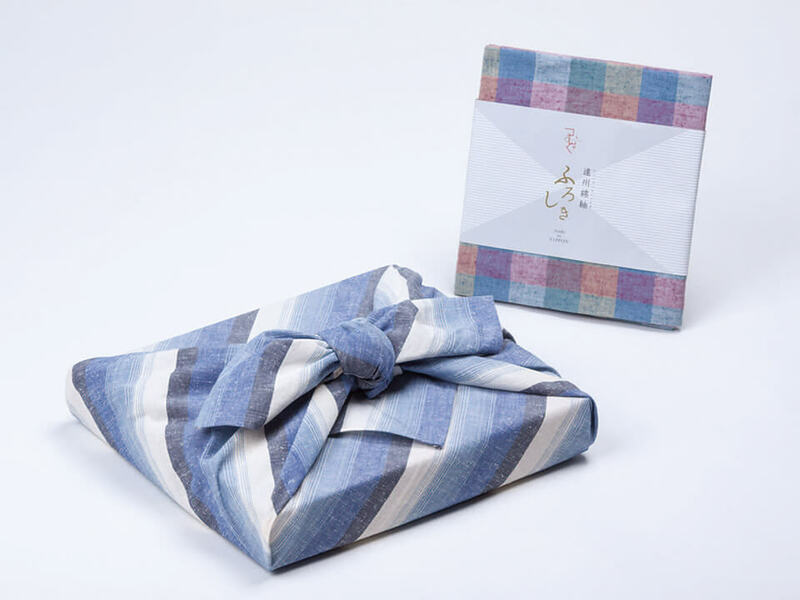 © Enshu Mentsumugi Nukumori Koubou all rights reserved.